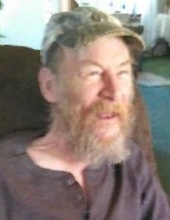 Daniel Lee Tallman, 55, of Rockville, Indiana, passed away August 8, 2018 2:16 a.m. at his residence. He was born February 24, 1963 in Terre Haute, the son of Harry Tallman and Janice Shepherd Davies, his mother survives. Daniel was a 1981 Graduate of Montezuma High School; he served in the U.S. Army and Army National Guard. He worked as a construction worker and enjoyed collecting tools, R.C. Cars and lighters. He is served by a daughter, Ashley Tallman; 3 grandsons, Jayden, Michael and Carson; his mother, Janice Davies, 3 brothers, Harry (Brenda) Tallman, Tony (Chris) Tallman, and Richard Shaw; and 3 sisters, Peggy (Richard) Newman, Ellie Tallman, and Becky Johnson. Also surviving are several nieces, nephews and aunts. Daniel is preceded in death by his step-father, Robert Davies; father, Harry Tallman; and brother, Jeffery Shaw. Funeral Services will be Saturday, August 11, 2018, 1:00 p.m. at Barnes and Rice Funeral Home, 111 East High Street, Rockville, Indiana 47872. Visitation will be Saturday from 11:00 a.m. to 1:00 p.m. at the funeral home. Burial will be in Memory Garden Cemetery, Rockville, Indiana with military graveside rites by the Parke County Veterans. To send flowers or a remembrance gift to the family of Daniel Lee Tallman, please visit our Tribute Store. "Email Address" would like to share the life celebration of Daniel Lee Tallman. Click on the "link" to go to share a favorite memory or leave a condolence message for the family.